WELCOME to Monday April 23, 2018.
there was a lot of blood and he got real loose in the end. You could see him of rocking back and forth. manage the pain. You see I been losing my friends over the last couple of years, it’s a total of 6 whom have been with me all of my life and it pains me that they are gone, I really needed them. I’m really gonna miss that tooth! Well that’s my story and I’m sticking too it. Have a great Monday people, and whatever you do, don’t forget to LAUGH IT UP! Peace I am outta here, Eucman! At a workshop on dog temperament, the instructor noted that a test for a canine’s disposition was for an owner to fall down and act hurt. 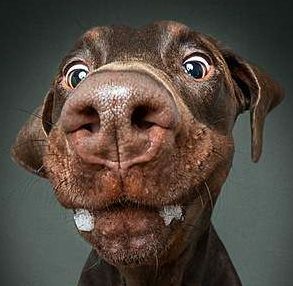 A dog with poor temperament would try to bite the person, whereas a good dog would lick his owner’s face or show concern. Once, while eating pizza in the living room, I decided to try out this theory on my two dogs. I stood up, clutched my heart, let out a scream and collapsed on the floor. Die Hard! Spoken as the two agents already on the scene, Johnson and Johnson, are crashing to the ground in a burning helicopter. Mondays Movie Trivia of the day! Below are 3 pairs of words. Find the words that fit in the middle of each pair of words to create two new words, one front-ended and one back-ended. I am in tulip, but I’m also in by.